Education and trainings are considered to be the key drivers of societal and economic progress. Access to education, level of quality of formal education and equal opportunities are pillars of sound education system. However, life-long education takes an increasingly important position in creating a highly professional, specialized and competitive workforce. 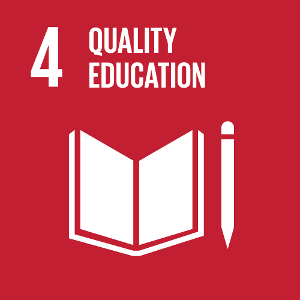 Apart from the high-quality basic education, SDG 4 demands affordable and quality tertiary education and further initiatives for lifelong learning. After an initial phase of education and training, lifelong learning is crucial for improving and developing skills, adapting to technical developments, advancing a career or returning to the labour market. The Eurostat 2018 edition reports progress in this area. 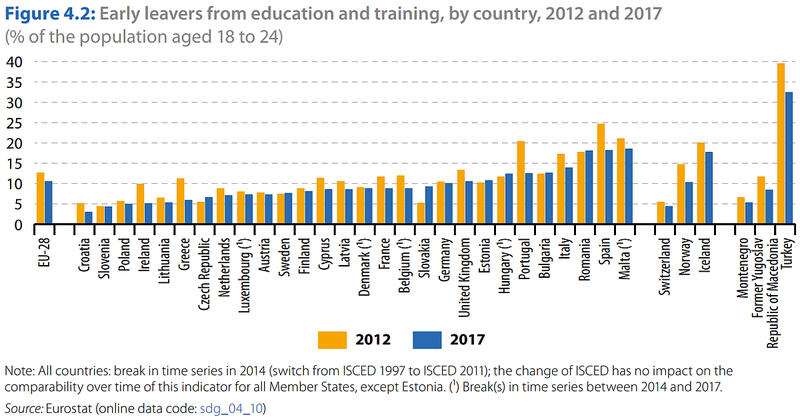 The EU has made a significant progress in increasing participation in basic and tertiary education. However, progress in adult education has been much slower, and the performance of EU pupils in the PISA test has further deteriorated. 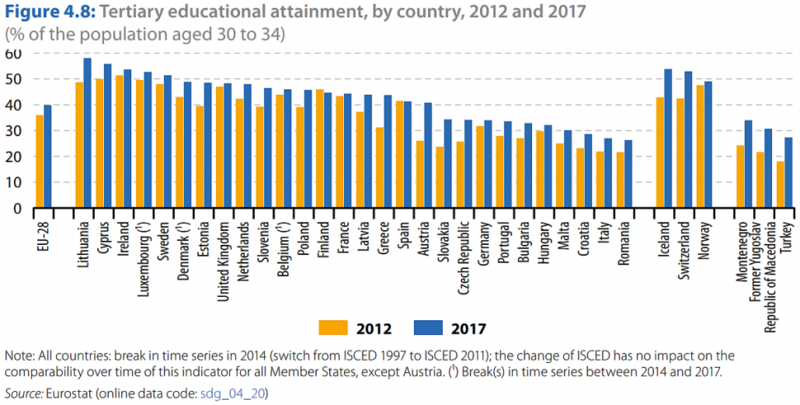 Some rankings didn’t change compared to 2017: Croatia still scores best for “Early leavers from education and training”, and Austria ranks 8th in Europe in the Lifelong Learning category. However, Croatia is ranked 26th regarding Lifelong Learning and, together with Austria, falls behind in higher education. Therefore, in both countries education reforms are an urgent matter! SDG Index and Dashboards Report was published in summer 2018 and gives insight into the specific country performances. Although there are some doubts about particular measurement methods, SDG 4 reports generally match other relevant statistics. 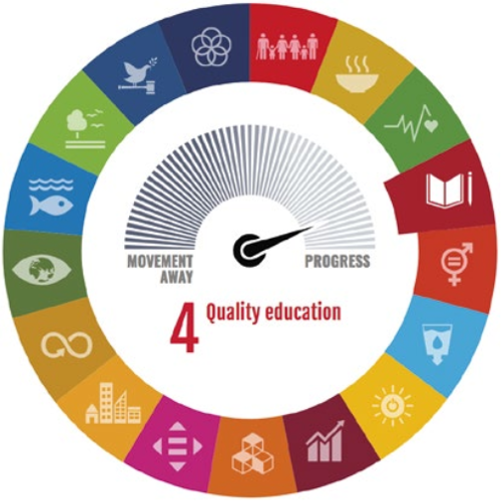 Austria recorded a stable trend in SDG 4 efforts and this goal is among the five highest achievements compared to all SDGs. Croatia’s ranking of this SDG is also comparatively high. However, a number of KPIs are missing to derive a reliable comparison. The Global Competitiveness Report, published by World Economic Forum provides additional insight into the status of education in Croatia and Austria. Having in mind that 140 countries were included in the survey, Croatia scored some concerning outcomes, especially skillset of graduates and critical thinking in teaching. The last item prompted us in Hauska & Partner to consider intensifying our efforts in raising critical thinking education in our contribution to the society. Austria, on the other hand, marks respectable results. These findings indicate that we operate in diverse markets related to knowledge management.